Jacques Roth and Mike Stone return to lead the Sentinel opposition and devise a plan capable of opposing one of the world's largest conglomerates. Meet Miss Mercedes, a former Miss Universe winner, who's ambition to become a celebrated actress have led to her downfall. Follow her life as she re-invents herself and influence those around her. Marco Tanfredi and Don Cerreta, two second-generation Sicilians, who have learned to it is necessary to resist the 'temptations of the street', if they wish to pursue their American Dream"
From June 1963, following the author's graduation from the Harvard Business School, until April 2005, when he sold his Resort Hotel company, Mr. Zuckerman enjoyed the privilege of working for forty-two years as a entrepreneurial problem solver during what many people regard as the Golden Age of American Commerce. Through-out his career he would witness, hear, or become aware of major events that had a significant influence over people's lives, some positive and some not so beneficial. Provided with the free time of retirement, Mr. Zuckerman has concentrated his attention on researching different contemporary events of interest. He concluded, while the history of free enterprise is clearly dominated by the many stories of high-minded success, there have instances where the privileges of free-enterprise have been abused in the pursuit of self-serving agendas, often accomplished at the expense of others. Zuckerman believes the democratic free enterprise system represents the goose that lays the 'golden eggs' and needs to be protected from those who would abuse its privileges. He has uses his writing easel to illustrate what can happen when a small fictional group, "The Six Sentinels" decide to help make-happen the constructive efforts required to oppose those of questionable intentions. 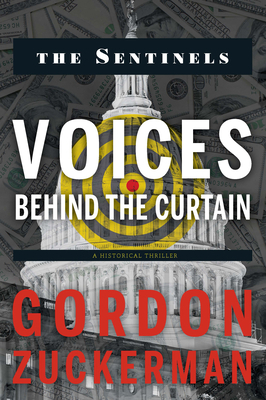 To create the plot for each of his books, the author has chosen to connect the dots of history. Any book describing the support or opposition to self-serving agendas must necessarily be a story about people. The stories are told through the evolving lives of fictional, high-minded, high-energy, creative problem solvers. The intrigue in their lives has been added to generate added interest for the reader. This genre allows the reader to ride 'side-saddle' with each of the principal players, to know of their thoughts, feelings, aspirations and reactions.